SKU: MV11. 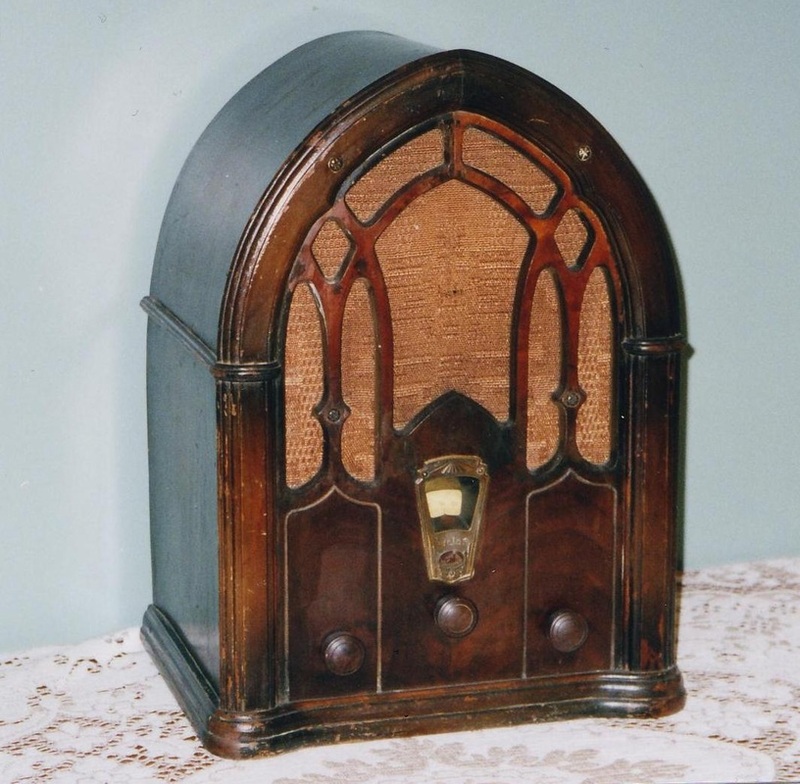 RCA Victor cathedral top radio. Vineer: quantity 1. Circa 1930. SKU: MV10 . 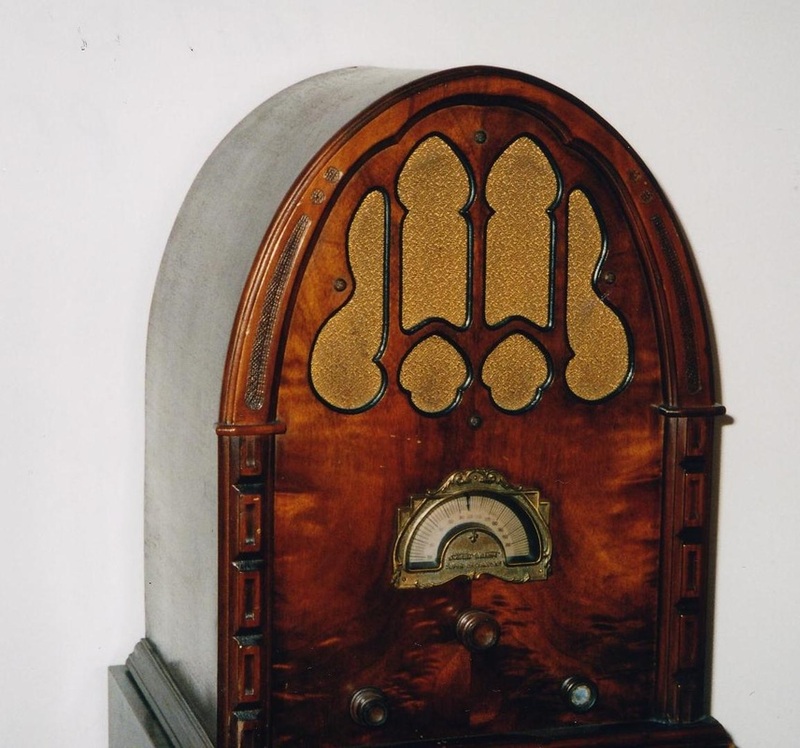 Stuart Warner cathedral top radio. Mahogany: quantity 1. Circa 1928. SKU: MV12. 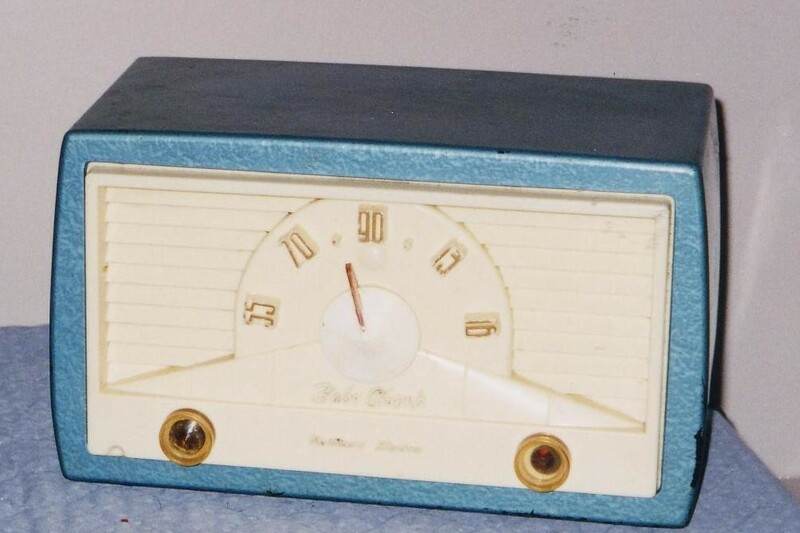 Philco wood radio. Quantity 1. Circa 1930. SKU: MV13. 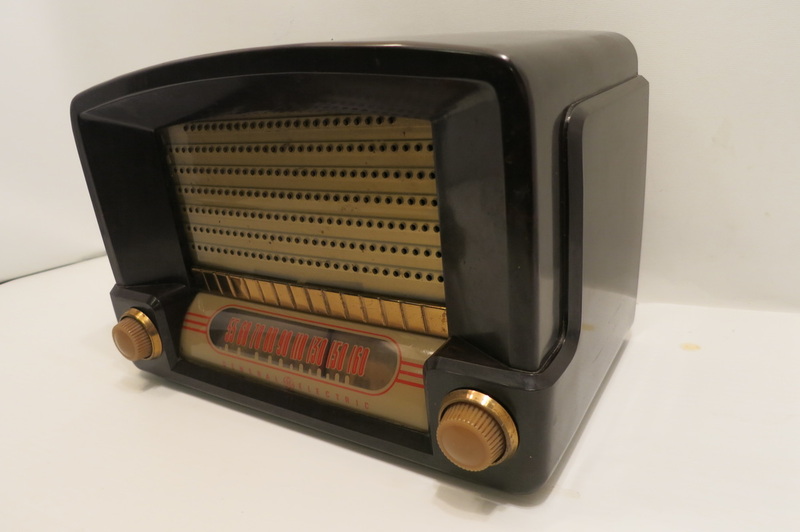 Airline art deco bakelite radio. Black: quantity 1. Circa 1940. SKU: MV13. 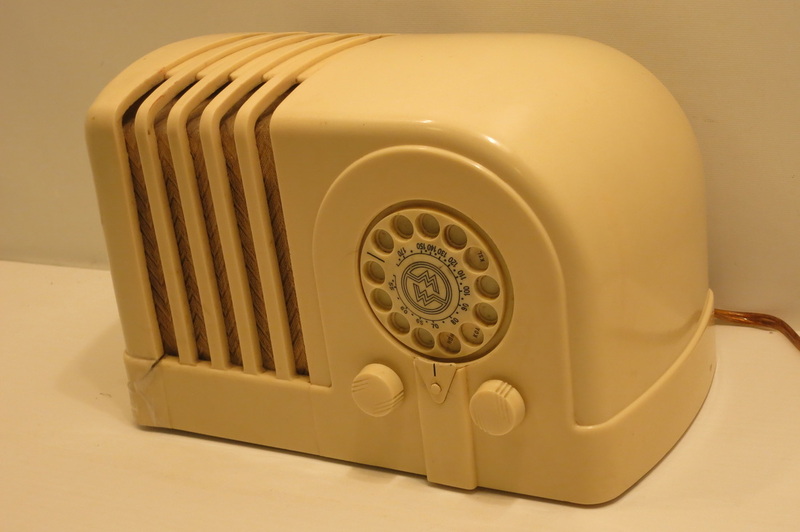 Airline art deco bakelite radio. Ivory: quantity 1. Circa 1940. Note: crack on bottom corner speaker side. SKU: MV63. 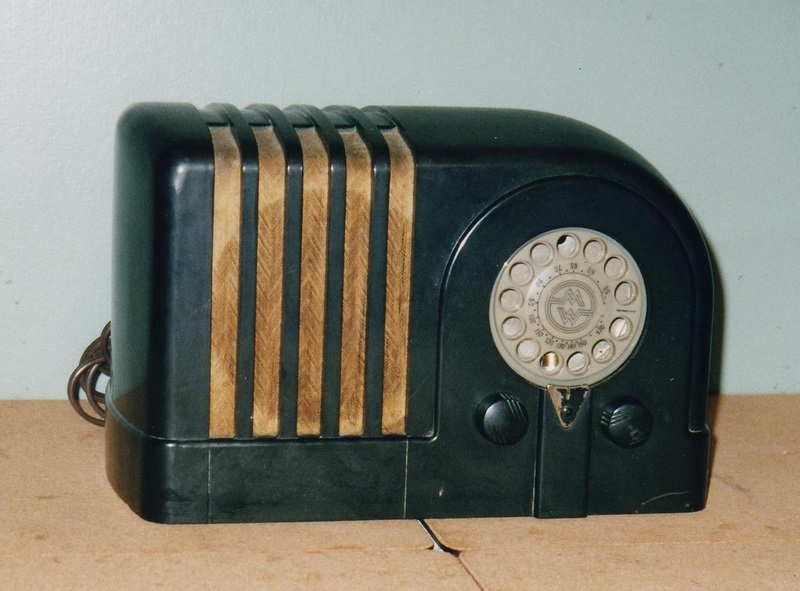 GE Bakelite table top radio. Dark brown. Circa 1940-50. Quantity 1. SKU: MV14. 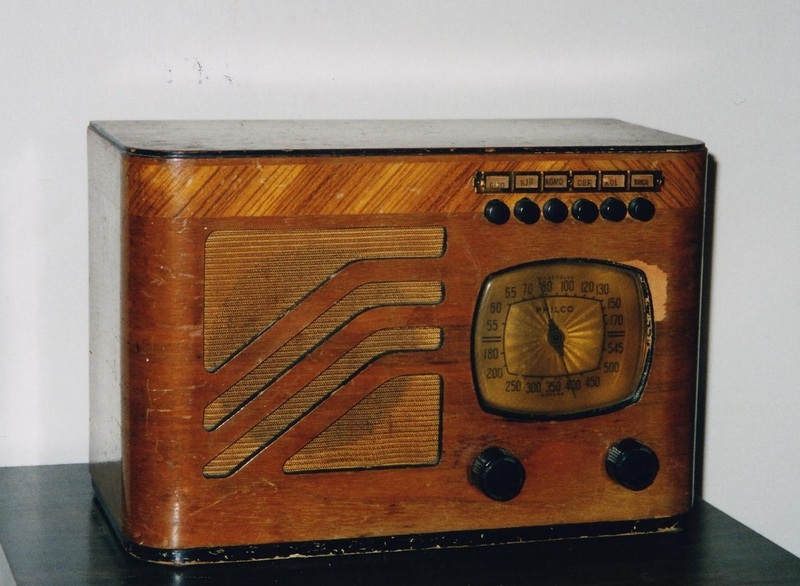 NE "Baby Champ" radio. Blue: quantity 1. 1950.